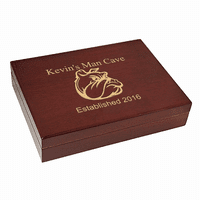 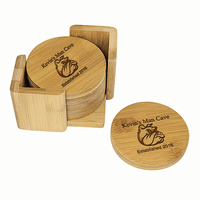 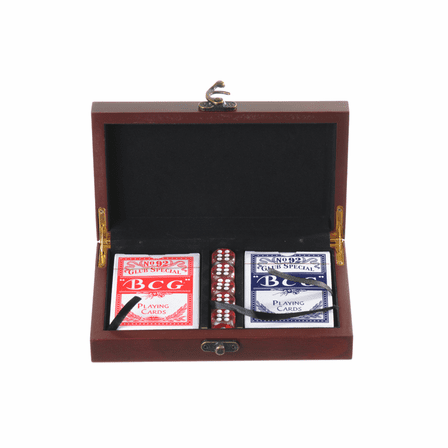 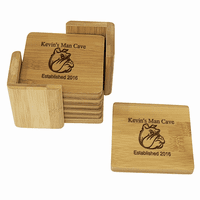 The guys will always be ready for poker night, family game night, and vacation time, with this compact mancave game gift set! 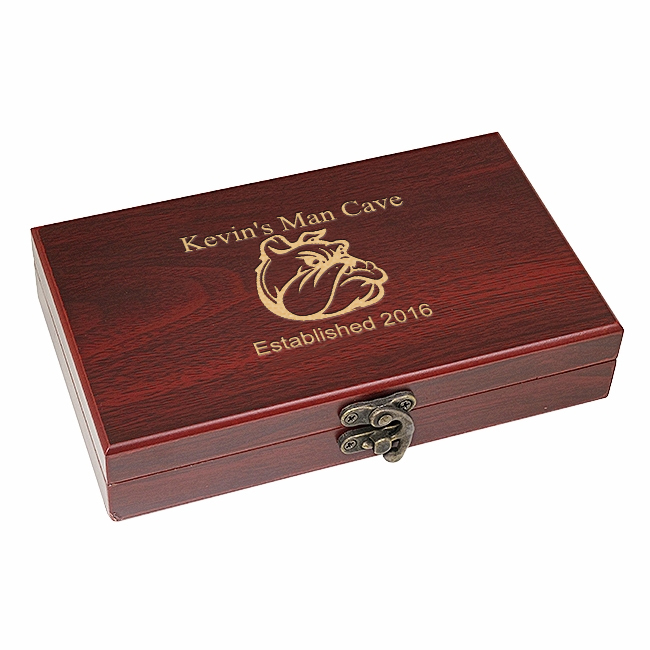 The hinged box has a rich rosewood finish, with an ornate clasp closure, and is lined in luxurious black velour. 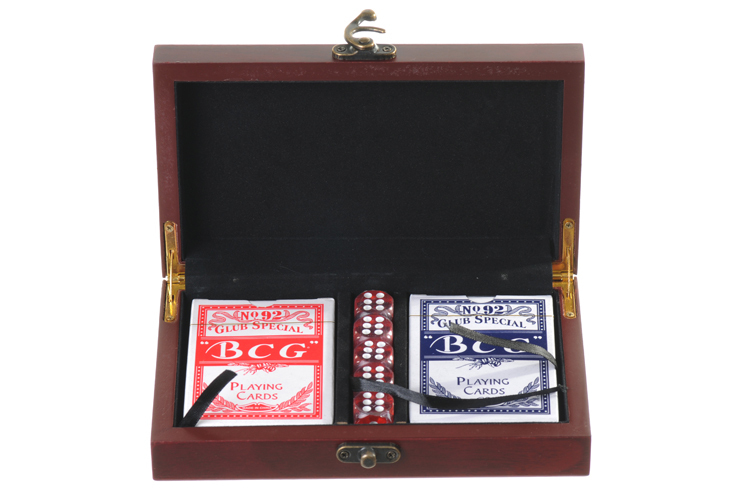 The set includes 2 decks of cards and 5 dice. 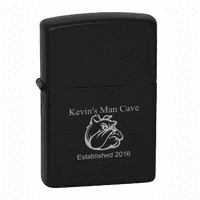 The cover features our engraved "Snarling Bulldog" design, and can be personalized for free, with a name and "date of establishment". This gift set comes packaged in a handsome box.